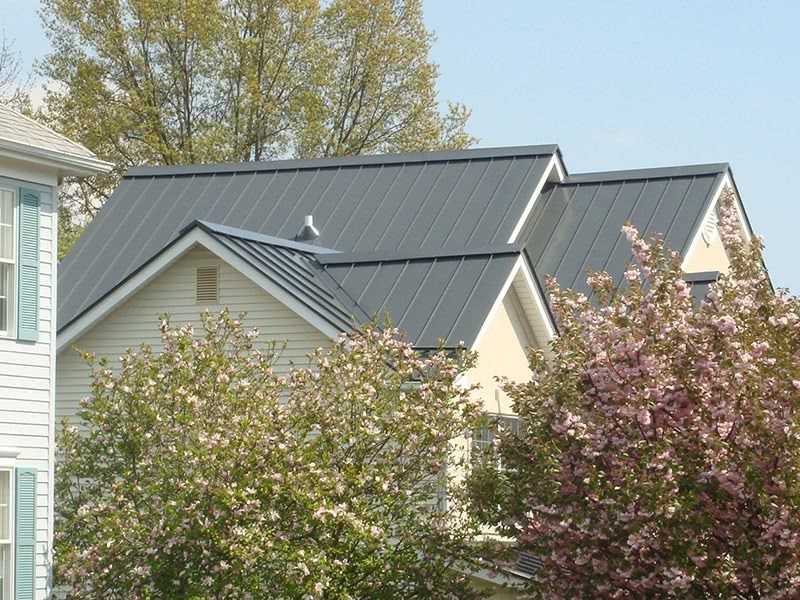 Metal roofing is constantly growing in popularity among homeowners due to its durability and style. With amazing eye-catching colors, and a lifespan that can last for over 50 years, choosing a metal roof is one of the best decisions you can make for your home. 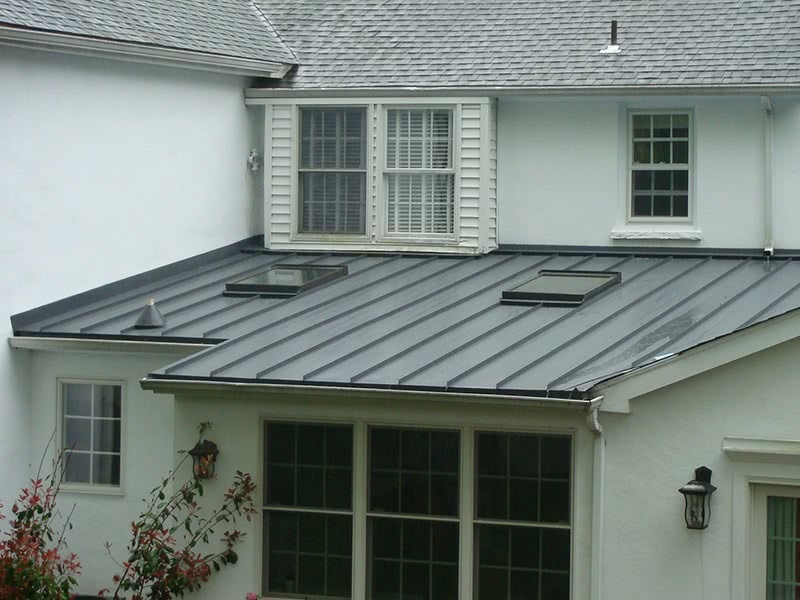 The best way to get all the benefits of owning a metal roof is to have it installed by an experienced and reliable contractor. If you want to save on the cost of installation, you can definitely try self-installation. Going the D.I.Y route to install metal roofing is a tricky task. If you’re sure you have the skills to conquer this, the first thing you’ll need to do is cut your metal panels to the correct size. If you’ve never done it before, cutting a metal roof may seem complicated. Luckily, our step by step guide will give you the knowledge you need on how to cut metal roofing like a pro. While completing this project it’s important to have the right tools to cut your roofing and a strong and sturdy work surface that is flat and solid to perform your cutting. 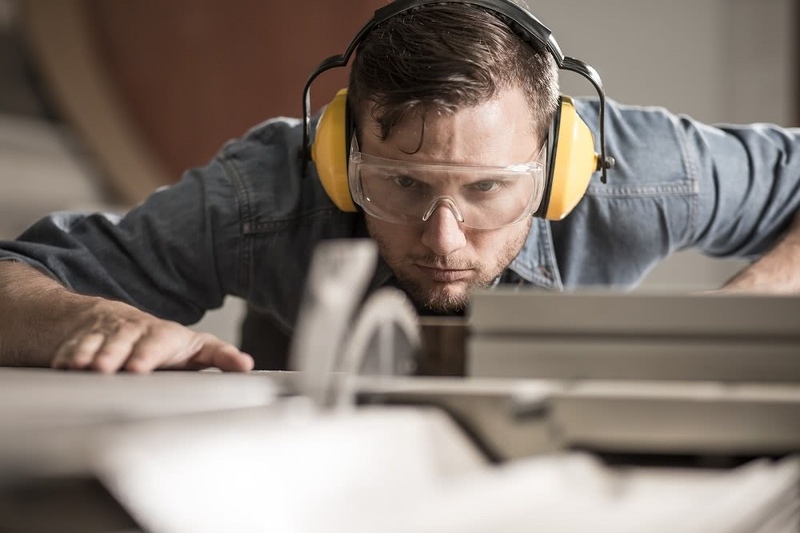 Like with any other project that may be carried out with power tools, always remember that safety comes first. Having a pair of strong work gloves and protective eyewear will protect you from injury throughout your project. When it comes to tools, you don’t want to go with a circular saw, though you may have had that in mind. If you’re inexperienced with cutting metal, using a circular saw is more dangerous and gives you less control on your cuts. Check out the tool list below to make sure you have the best tools to cut your material. Completing your project with these tools will give you a clean cut and will ensure that your roofing will be installed correctly. Using the right tools makes your project easier and you’ll be less likely to make mistakes. After you have your tools and the right safety equipment ready, you’ll want to prepare your siding. First, you’ll want to measure your metal roofing sheets and make a mark at each measurement where you plan to cut. Take the time to measure and mark each panel before you start to cut. This is the most efficient method because you will not have to go back and measure and mark your panels in between cutting them. After marking your panels, take each piece to your cutting area. Remember, this area must be flat and sturdy to avoid mistakes and injuries. Sometimes using the ground may be better than a work table, but it’s up to you which one will work the best. Once you have your panels on your work area, place each panel with the underside facing up. This is important to prevent damages to the side of the panels that will be visible upon installation. Before you begin making your first cut, be sure that you are comfortable using your power shears. If your too nervous, it will only increase the chances of making a mistake, which will also result in a financial loss. To begin, align the blade of the power shears with the mark you made on your roofing panels. Turn on the shears and slowly begin to make your cut. As you start cutting, move slowly and gently while still firmly cutting through the metal. Although the shears will cut through the metal very easily, it’s still important to apply pressure as you cut to make sure your cuts are straight and uniform. Making careful and straight cuts will guarantee that your panels will be the appropriate size. Once you perform your first cut you’ll see how easily the power shears glide through the corrugated metal roofing. Although your shears will mostly give you smooth cuts, don’t be alarmed if you hit a few snags. It’s bound to happen and does not mean that it will mess up achieving a straight cut. When you hit a snag, do not force your way through the tough spot when the machine stops. Instead, it’s best to change the angle of your shears to cut through the tough section. Once your shears get through the difficult spots, you can begin to cut normally again. If some of your edges are rigid or rough, you can sand them to smooth them out. You should have the perfect cut for all your panels. With the right measurements and a steady hand, your roofing should be just right to fit valleys, peaks and each angle of your roof. When you complete cutting your panels, they should be ready to install. If you want to achieve the best look for your roof, the panels can be painted to go perfectly with your home’s exterior. There is a very large choice of colors when it comes to metal roofing. Whichever color you like, make sure to choose a paint that will stand up to the elements while keeping a fresh look. Choosing a standing seam metal roof is a great idea to make your home stand out and have a roof that will last for years. Don’t be intimated when you begin your project. Whether you are an experienced D.I.Y er or a beginner, a little knowledge will go a long way if you closely follow the instructions. If you end up having trouble finishing your metal roof installation or run into a lot of trouble cutting the panels, you should call a roofing contractor to get your project back on track. Choosing a trusted contractor to install your metal roof will take all the trouble off your hands and ensure a perfect installation process. You want to get the best out of your new metal roof, so be sure to choose the best options when it comes to preparation and installation. 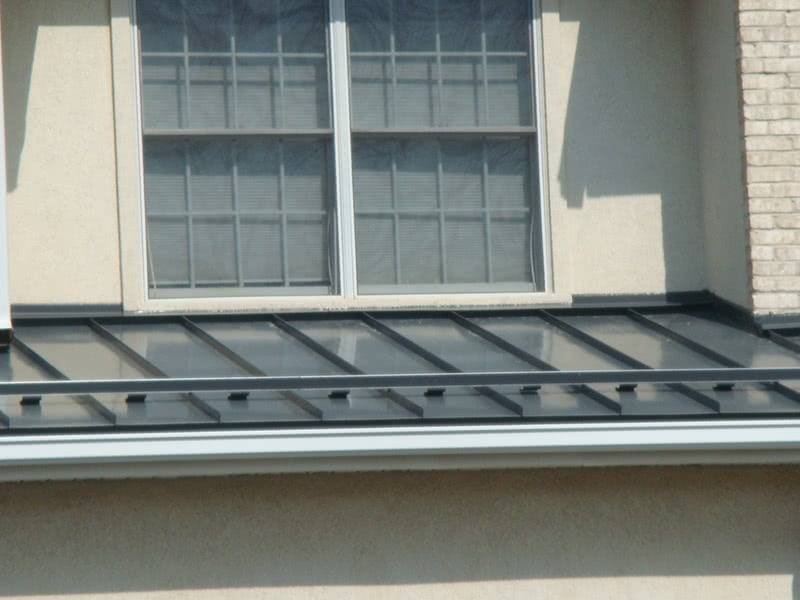 With smoothly cut metal panels, they should fit your roof like a glove.